Mount Pelly is a territorial park located north of Cambridge Bay, the highest point of land in the area. The mountain is a long ridge of stratified sand and gravel left behind by glaciers. Moran previously served in President Obama’s White House science and technology policy office. “My focus included Arctic policy, for which the President showed then, and continues to show, great international Arctic leadership,” comments Moran. ”I was proud of the President’s Arctic efforts and I am even more proud today because of Prime Minister Trudeau's important new actions that will protect the Arctic and the rich Indigenous communities it supports in both nations." 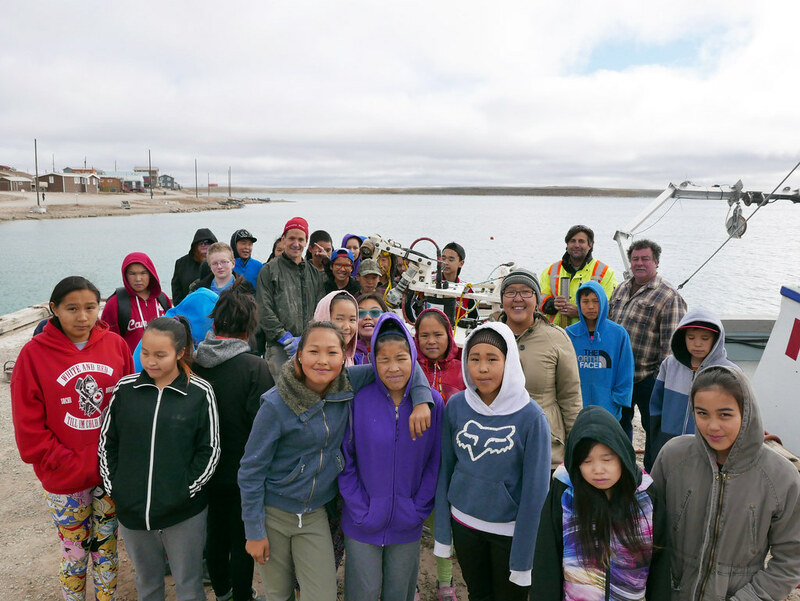 A group of Cambridge Bay students visit ONC’s upgraded observatory platform before redeployment, September 2016. 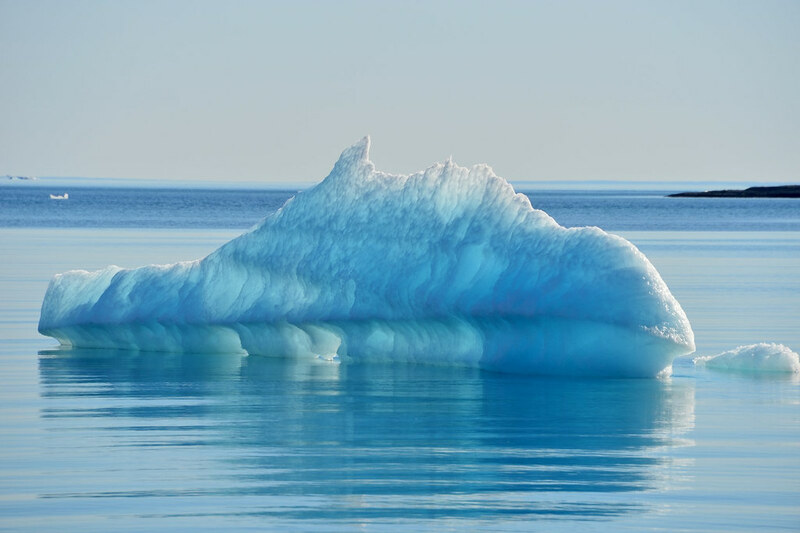 Currently ONC is working together with the Cambridge Bay community to deliver scientific data about their ocean front yard, which supports the management of their own resources. 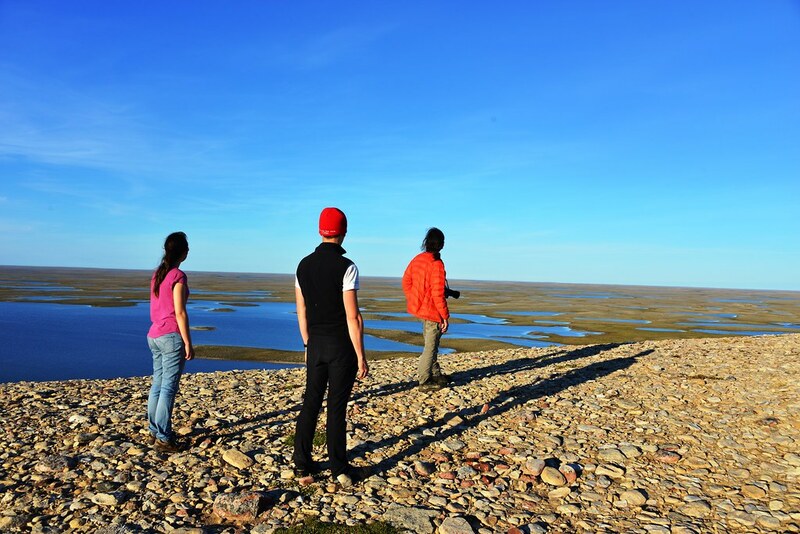 Working with ONC’s Arctic Youth Science Ambassador, Mia Otokiak, ensures that traditional knowledge and science can work together to provide the best information possible for the community of Cambridge Bay, Nunavut. ONC’s Arctic Youth Science Ambassador Mia Otokiak (right) with her grandmother Eva Otokiak (centre) and ONC Indigenous Community Learning Coordinator Mercedes McLean (left) at 2016 ArcticNet conference in Winnipeg. "I am extremely happy to see the United States-Canada Joint Arctic Leaders' Statement as it will mean less damage to my homeland and more opportunities for Indigenous peoples to participate in science-based research." comments Mia Otokiak. "I look forward to future partnerships with people and organizations who want the Arctic and its peoples to succeed."